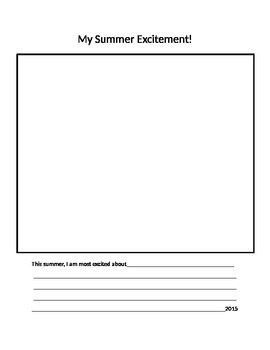 Activity sheet for children to fill out about what their upcoming summer plans are. Space for their own drawing and lines provided for them to write their plans. For younger children - teacher can fill out lower portion.